Although global market disasters may mean we won't be shopping as much as we used to, we'll definitely be recycling and reusing more, and the ethically right-on bags I've collected together today manage combine shopping and recycling rather beautifully. First up, the Sling Bag by Cape Town designer Wendren Milford. 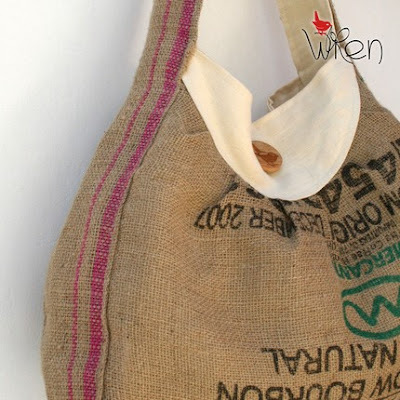 It's made from a recycled organic jute bag, originally used for the coffee from a Fair Trade farm! That's all the ethical boxes checked, if you ask me! Each bag is unique, and you can see more of them in The Wren's Shop. The Money Bag Wallet from Etsy seller Chakra Pennywhistle is made from a vintage money bag, and all the wear and tear of its previous incarnation is left intact, but strenthened with patching from the inside. I'd hope that the past life of the money bag might just impact positively on the user's present fortunes! 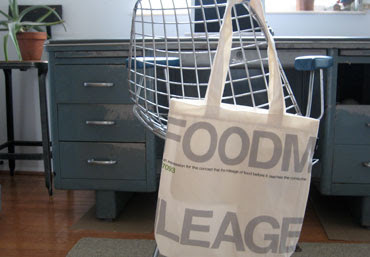 The Food Mileage Tote from Three Potato Four is perfect for lugging your haul from the farmer's market. The message printed on the cotton canvas bag is there to remind you of the distance between the consumer and the producer, and how those miles all add up. 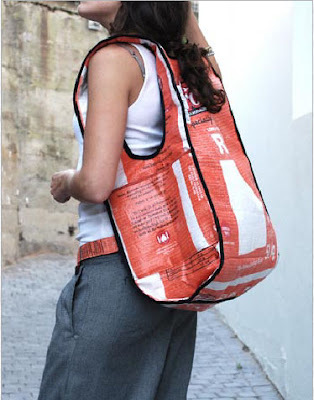 Give it Bag reuses the polypropeline sacks used to transport salt, rice and beans, making them into sturdy and rather gorgeous bags. They've just launched some new designs, including this backpack. 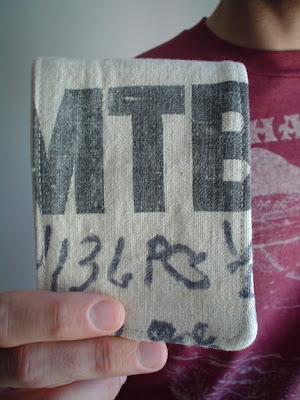 You can buy a Give it Bag bag right here. I love the wren bag! Everything is wonderful!